As a Chicagoan, one of my favorite unofficial seasons has started that all music loving college students absolutely adore — Concert season. With Chicago being the third largest city in the country, it seems like no matter what genre you listen to, and how big or small the artist might be, if they’re touring, they’re almost always going to stop in the city. Even if you don’t listen to certain artists often, depending on how popular or mainstream they might be, very frequently you’ll be able to find some cheap tickets to help fill up an empty day on your schedule, by looking up certain venues around the city that are easy to get to and looking at their calendars for the coming weeks and months. And if you want to be more adventurous, looking into the DIY scene and finding a cheap lineup of bands and musicians of all backgrounds is just as easy. And once you gather some connections in the music scene around the city, it becomes so much easier to continue your pursuit. I know myself personally, I’ve already been able to get tickets for 4 shows, a couple of them being under $10 to see about 3 bands each night. And even though I haven’t listened to the bands, the experience of listening to them with my friends and expanding my musical palette is more than enough of an experience for myself. If you don’t want to take that risk like I’m going to be doing, the off chance of being able to find the band or musician’s stuff on ‘bandcamp’ or ‘soundcloud’ is entirely possible to help you get a taste of their talent, and decide whether they might be worth seeing for you. As a Rambler, we have the city of Chicago at our fingertips. Our U-Passes can take us anywhere our hearts desire. But with a city so large, how do you have fun without breaking your budget? As a DJ for 88.7 WLUW, Loyola’s radio station located at the Water Tower Campus, the job has opened up my eyes to a plethora of new music, from both Chicago natives, and bands that constantly stop in Chicago as they tour around America. Before working at WLUW, I only knew of a couple local bands that played shows in the city, because of my own searches and talking to people at Loyola. But since then, working at WLUW, I’ve had my eyes opened up to so many new bands, who play shows that never cost more than $25. Seeing local bands like Twin Peaks (Who’re Rogers Park natives) to up-and-coming artists like Hoops, who make their homes at great venues all around the city. But even if you don’t know some great underground artists, checking out WLUW while doing your homework or hanging out with your friends is a great way for you to listen to a whole different world of music without feeling the pressure of actively searching for that new music. Don’t have an FM radio like a lot of people? You can still tune in at wluw.org and listen through the mp3 stream. From there, so many doors open up as you see cheap shows all across Chicago, seeing a different side of Chicago, one that you might find a community in. Don’t wanna stray too far away from campus? Once a month the ((dop)) puts on an Open Mic Night for Ramblers to share their talent, giving you the chance of meeting some skilled students with their own musical project. 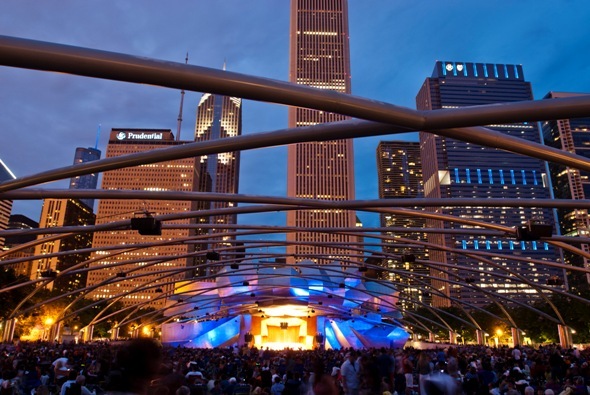 If music is a passion of your’s like it is mine, getting involved in Chicago’s active music scene is entirely at your fingertips, and there are resources here at Loyola to help! 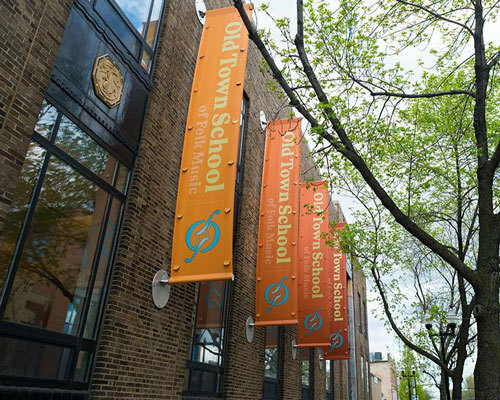 Over the summer, I plan to do many things which include taking some summer courses at Loyola and attending Old Town School of Folk Music (located in Lincoln Square). Here, I will be taking a couple of courses and learning the cello. Why? This is for fun! No credit will be carried over towards my graduating credits. That doesn’t matter and I do not mind. I love music; learning about music and being able to play an instrument is leisure for me. As I have written in my other blog posts, music is one of the most central aspects of my life. As a child, I learned to play the guitar and piano. Now, after I see that many other people can play or want to play those instruments, I think that I am not that unique anymore! 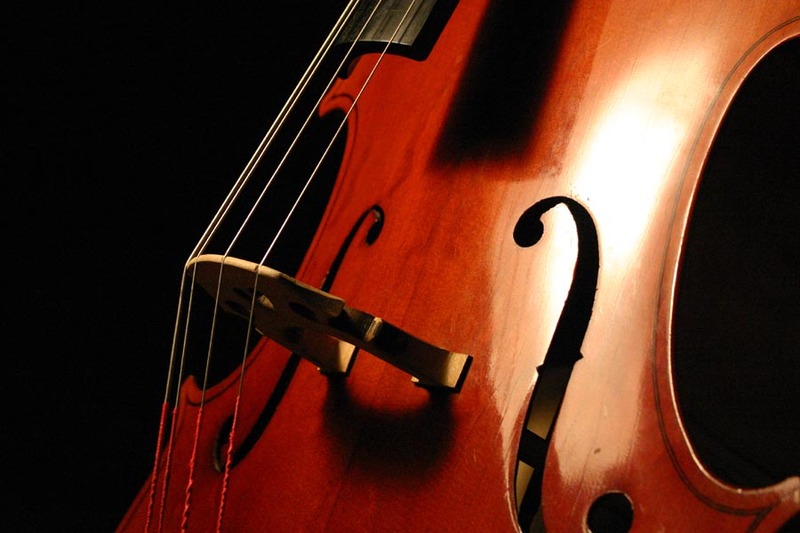 Many people that I know of do not know how to play the cello, but appreciate the sounds it makes. I agree with them too; it has a deep, modest, and sincere sound! For me, learning this instrument will be challenging for some reasons (but none that I can’t overcome!). For example, the left hand plays the neck region. My biggest concern is that I am a leftie. My left hand finger coordination isn’t that strong compared to my right hand. Anyways, I am excited to go to the music school over the summer. I know I will have fun and enjoy myself! 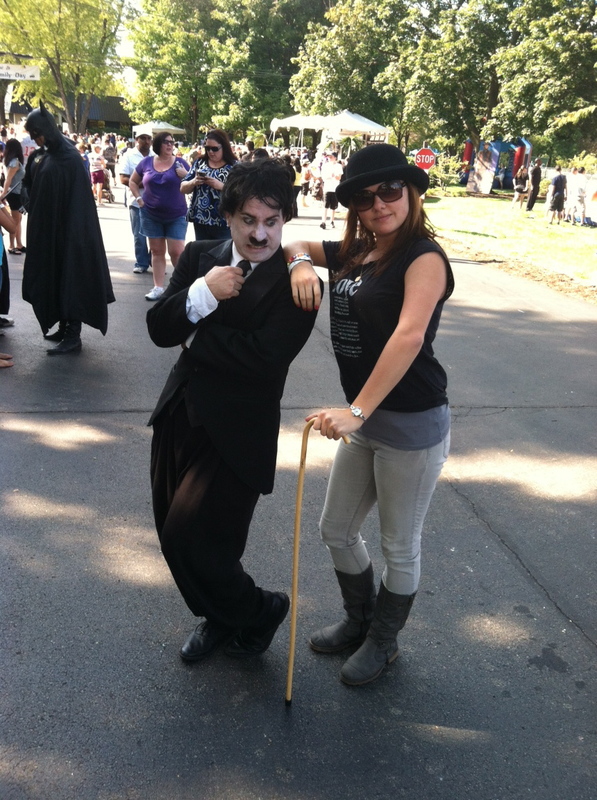 From people to TV shows to hobbies, there are many things and people that truly inspire me. I find myself motivated to get through everyday hardships and challenges because of these inspirations. 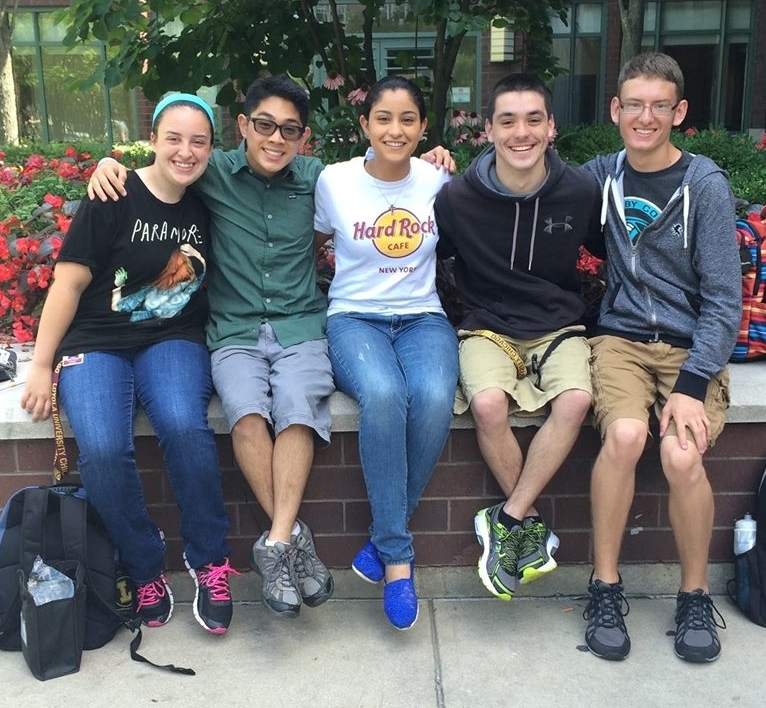 Here at Loyola, I have found several close friends I can consider life-long. Each person has a unique personality that everyone adores; we all are compatible and extremely amicable. We all met within a week before first semester of fall and have been close ever since. 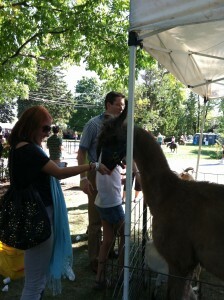 One of these friends was my first college friend I met during orientation. After hours, we were consistently talking and found a surprising amount of similarities. Another friend has an exuberant demeanor that loves animals and enjoys morbid topics; nonetheless we all love him. Two of these girls both are well-rounded and so intelligent; they are caring and are wonderful examples of peacemakers. All in all, these people help me enjoy going to school and inspire me to succeed academically and socially. 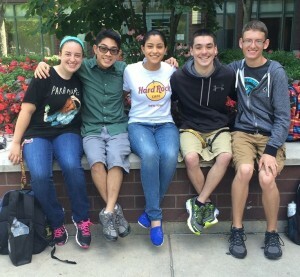 Without them, I would not have been so open to meeting new people and would not have enjoyed my first year of college as much. Introduced by one of my friends, Doctor Who, is the TV show I consider most exciting and full of hope. The Doctor (9th, 10th, and 11th) gives me hope and happiness. He is really funny, laid-back, adventurous, and smart. I admire him and want to be like him. I want to help others the way he does and be known for fighting for justice. Music will always be a part of who I am. I cannot even think of a day where music was not influential. I have learned to play the guitar and piano since I was around 9 years old. Now, I want to learn how to play the cello and be able to create the deep, gentleman-like melodies. Besides that part of music, I love to listen to a variety of genres- pop, rock, instrumentals, and a little alternative. Music is a wonderful gift. It is set to inspire others, help cope with the pain, bring communities together, and put vibrant colors into life. The melodies, beats, bass, and instrumentals are different among the countless genres, ranging from pop to rock to alternative to classical. 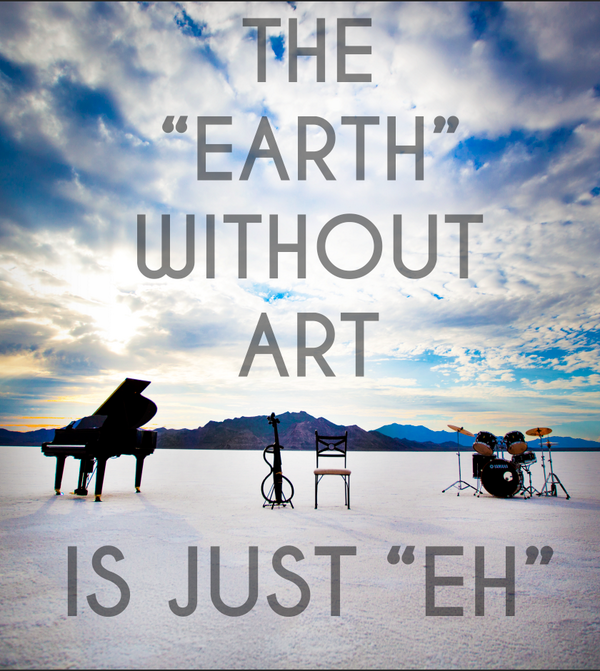 If the world never had music as part of culture, indeed, it would be “eh” or extremely bland. As a musician myself, I can testify to that statement wholeheartedly. The music I like is a little spread out; I like pop, rock, and a little bit of classical. My favorite band is One Republic; it has been my favorite for years. Every song is extremely heartfelt through the bittersweet and inspirational lyrics to the creative use of instrumentals (piano, cello, and other percussion instruments). My most favorite song from them is Stop and Stare as it easy to relate to. Other bands I adore are: The Script, Maroon 5, American Authors, Fall Out Boy, SafetySuit, Imagine Dragons, Coldplay, Clean Bandit, and a ton more. Solo artists I love include: Sam Smith, Jason Mraz, Sia, Calvin Harris, and Betty Who. Besides the contemporary music, I love to listen to piano solos and orchestra pieces composed by Debussy. The tempo and melodies of each piece are wonderful; they are soft, breezy, relaxing, and gentle. It is easy to listen to Debussy especially when doing homework. 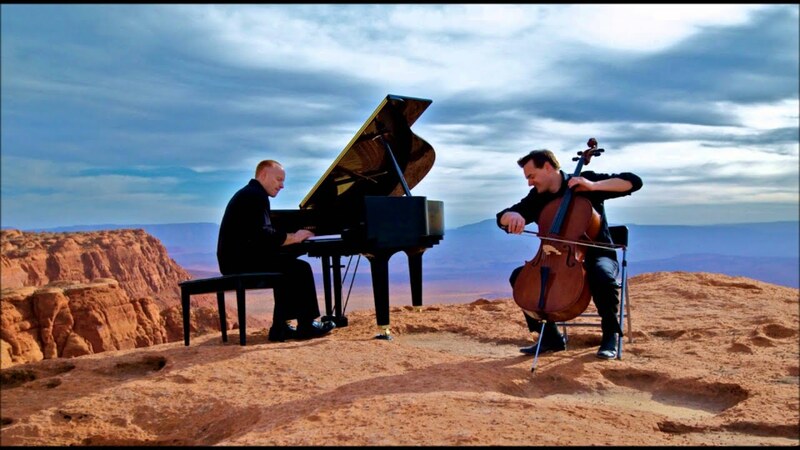 For a modern twist, The Piano Guys are also fantastic to listen to. These people take popular, contemporary songs and create unique and beautiful renditions of them. They have grown popular over the past couple years via YouTube and most likely, you are familiar with them. I cannot imagine life without music. It is uplifting and gets you through each day. It is hope. This floor can be considered my favorite floor because it is essentially the floor of music. My music class is up there and there are several piano rooms in which I have access to. Every morning, people can hear others sing, play stringed and aero phonic instruments, and more of all different genres ranging from classical to present day pop/rock songs. Although I specifically do not take a piano class, I still practice the piano in the practice rooms. I usually come to practice songs whenever I have free time. 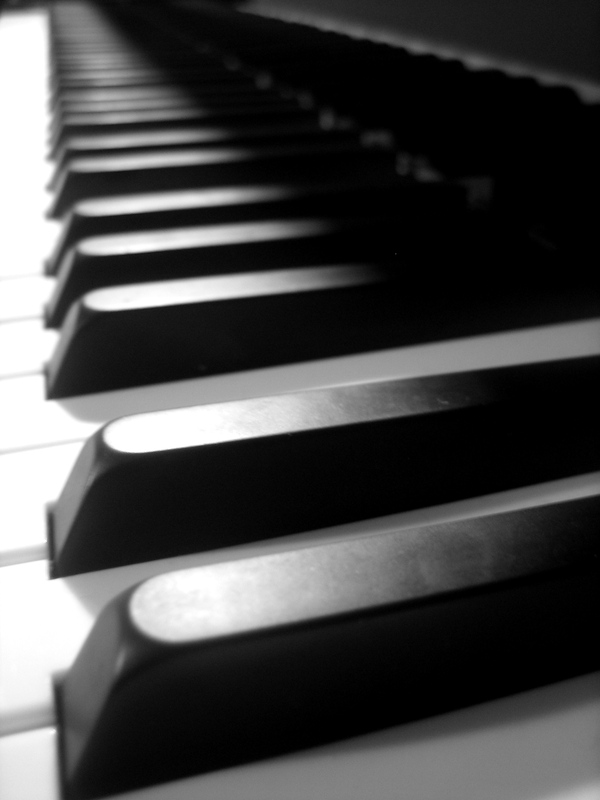 Making music, in my opinion, is the best stress reliever there is; it takes your mind off of school related issues and you focus solely on the beautiful melody and sounds you create on the piano. The 10th floor of Mundelien is fantastic as bright, talented musicians and singers produce sounds of all sorts that resonate throughout the hallways and even in classrooms. Being on the 10th floor is almost like being in another world or dimension of music; nowhere else will you be able to hear something quite like what you might hear from Mundelien. I’m always on the run from one place to another, from class to class, job to job, stores, meetings, anything else imaginable. Therefore, I always have my phone charged and headphones in, listening to music. Every genre has it’s own beauty to me, so I have a little (actually a lot) of everything in my iTunes. I’ve been meaning to write this blog of some of my favorite songs, and now I finally found the chance. “Danza Kuduro” by Don Omar– this song is one of my absolute favorites. I heard it for the first time towards the end of my freshman year of college from the movie Fast Five, and have listened to it nonstop since. “Fire Escape” by Civil Twilight– Civil Twilight is an indie rock band with many catchy songs, and this is just one of my favorites by them. It’s the 13th most played song on my iTunes. “Kiss Me” and “Give Me Love” by Ed Sheeran. When I’m looking for something calm to listen to, I always turn to these two songs first. They’re perfect for when I’m alone and want to close my eyes and relax a bit at the end of a long day. “Better Than a Stereo Dream Stereo Love Mashup” by Kap Slap- no song mashups/remixes have anything on this one. It’s really well made and I love to listen to it during my workouts. “More” by Usher– speaking of workouts, this song always gives me the extra boost I need when I’m reaching the end of a run. Who cares if it was overplayed and everyone knows it? “Lead Me Home” by Jamie N. Commons– this is one of the newest songs I’ve heard, and I got it from the end of a recent “The Walking Dead” episode. It’s short and chilling, and I’ve caught myself multiple times now listening to it on repeat. “You’ll Think of Me” by Keith Urban– so soft and soothing, I love to listen to this country tune when I’m driving. “Bangarang” by Skrillex featuring Sirah– This dubstep song is one that I can never listen to and sit still, so I don’t sit still! It works wonders to wake me up when I’m tired, no coffee necessary. “Half Moon” by Blind Pilot– Even though it’s called Half Moon, I love listening to it in the early morning because it’s great for welcoming a new day. Anything by Anberlin, such as “Inevitable”, “Fin”, “Art of War”, and “Type Three”, no explanation required for why I love them so much. I even went to their concert alone last year and it was amazing. Finally, anything by Hollywood Undead– “Coming Back Down”, “Circles”, “This Love This Hate”, and “Dead Bite” are my top picks from their various albums. They are one of the few bands I have yet to see live that I really want to, so please come back to Chicago! As promised, I am writing another blog today. To continue on my Saturday, along with having my fortune told, I got to experience other cool things, some that I had previously done and some that I had not. I also sang karaoke there, which was recorded, so I have a CD of myself singing the original version of “Life Is A Highway” by Tom Cochrane. 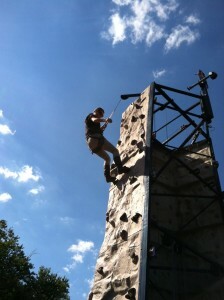 I played some Frisbee there as well, realizing that I am quite horrible at it, but I am pretty good at rock climbing. There was a rock climbing wall put up there, and I got the chance to climb the harder segment of it. I got to the top, which felt pretty great considering I hadn’t done it since high school several years ago. I also got to see some people dressed up as Batman, Harry Potter, and all sorts of other characters, and I saw the Jesse White Tumbling Team perform again. In between activities, I ate chili cheese dogs and the best M&M cookies I’ve ever had, and I collected souvenirs from the day to keep as memorabilia. It’s great to know I have three pairs of crazy “sunglasses” now that I’ll never actually wear anywhere. After such an awesome day, it was nice to know that I could hang out on Sunday and…study. Since I had my first Accounting exam on Monday, I spent the day brushing up on my material and touching up any final pieces of knowledge I would need for the test. Last year, when I took my first Accounting exam, I was nervous, but going into this one, I felt confident and ready because I’d taken a different approach to studying. Now I get to wait till next Monday to find out what I got on my exam, but until then, I can begin studying for my first Macroeconomics exam coming up in a week and a half, and preparing my Accounting project due soon after that. As I sat on the bus en route to St. Louis (otherwise known as home), I scrolled down to my “chill” playlist on my iPod in hopes of catching some sleep. On my “chill” playlist is an abundance of songs, mostly originals with a few of my favorite cover songs mixed in. “Chill” is the inspiration for this post. Please agree or disagree with my choices as my top 5 cover songs. Suggestions are also appreciated as I am always open to hear new songs, rather, new songs done over again. I am not a huge Oasis fan and I actually like this version better than the original; A very edgy sound to an already-alternative song. I find Ms. Voegele’s voice very angelic, which fits in well with the Leonard Cohen original lyrics. Very soothing and yet potentially heart wrenching. The fact that I hear this version more than the original by the Isley Brothers gives testament to how good the cover is. There is not a song that takes me back to high school dances quicker than this one. I am fond of Dave Matthews Band and I respect both versions of this song. I think Stevie Nicks carefully covers Dave’s “Crash” with an appropriate amount of respect as well as her own flair; a great overall sound. There may be few more talented guitarist on earth than John Mayer. His cover of the classic Tom Petty rock song takes a catchy American tune and turns it into an intimate listening experience. It is amazing how these songs can sound so differently and have the same essence to them. Like I said, comments and criticisms are welcome, please share your thoughts! 5. Blackbird by Dave Matthews Band- Yes, I realize that there was nothing wrong with the original by The Beatles, but I find this one more soothing. 4. Casimir Pulaski Day by Sufjan Stevens- A sobering song that allows me to focus on the task at hand, unless I listen to the words, and then I become sad. 3. Love Vigilantes by Iron and Wine- A slower song with alot of emotion. I really like the lyrics and the storyline in the song. 2. Góðan Daginn by Sigur Rós- A fine choice if you have a difficult time listening to music and focusing because unless you speak Icelandic, you will not be able to understand the words. 1. Re: Stacks by Bon Iver- A favorite of mine for awhile now; a simple strumming pattern on the guitar mixed with some high octave vocals makes for a pleasant sound to study to.